This raffle quilt was completed in February 2017. The Tree of Life quilt was pieced by guild members with Sheila adding the appliqué border and Ann making the label for the back. The queen sized quilt was quilted by Gina Boone. Check out this index of included block names. 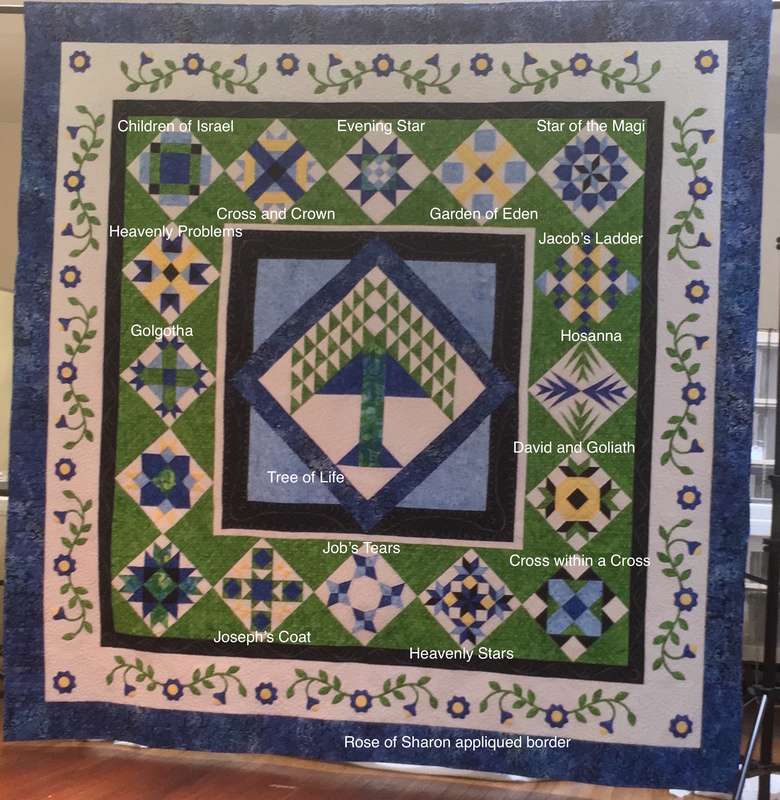 After a long year of attending numerous quilt shows, various local festivals and town events to display and sell tickets for our 2017 Tree of Life raffle quilt, we took the quilt for its final showing at the 87th annual Uncle Eli’s Quilting Party on April 5, 2018. Ticket sales were brisk all morning right up until the actual drawing at 11:30. Our guild members enjoy creating raffle quilts. Members contribute blocks to collaboratively create a beautiful quilt. Raffle tickets are sold to raise funds to support guild programs and charities. Learn more about where your money goes when you support our guild. Check out our current raffle quilt and see past ones too on our raffle quilt page.